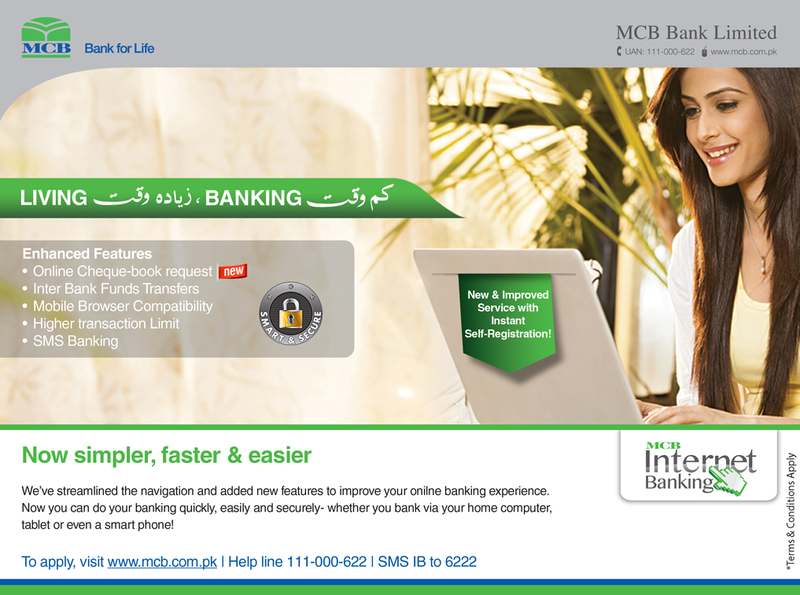 MCB Internet Banking offers you the convenience to manage and control your bank account and finances; whenever and wherever you want! Alerts on Login, Account status, Funds transfer & Bill payments on your Mobile and Email. *Corporate Customer will be assigned with view only rights. With MCB Internet Banking, now you can pay your Utility bills, buy Top-ups or pay Postpaid bill, purchase Entertainment & Fashion Vouchers, pay Tuition fee or deposit money in your Investment account - right from the comfort of your home or from anywhere, anytime.